This 96" long organic console by John Houshmand is a great anchor piece for any loft. Made from old growth heart pine beams and a steel frame, this piece signifies the urban industrial ideal. Each piece is individually handcrafted ~ they love crumbling bark & wormholes. See John for more information at www.johnhoushmand.com. © Copyright 2010. All Rights Reserved. Urban Lifestyle Decor. Where can I get this for my home? an eclectic mix of modern home furniture & wares: urban glam + bohemian chic + gothic grunge + european modern + urban rustic + avant-garde + vanity fair vintage + urban organic + bohemian rustic + urban industrial + modern minimal + urban rustic + flea-market + eco-decor + pure vintage + pure modern + pure organic. 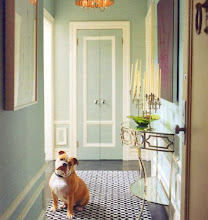 come find your urban lifestyle of home decor. 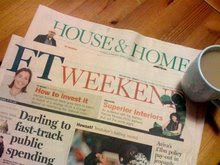 Financial Times: Urban LifeStyle Decor named Top Blog for "Eclectic Interiors"
© Copyright 2010. All Rights Reserved. Urban Lifestyle Decor: furniture + wares for the urban dweller.